Helmet comes with all decals. Option to add upgrade from black mask to chrome mask, and option to add player number to back of helmet. 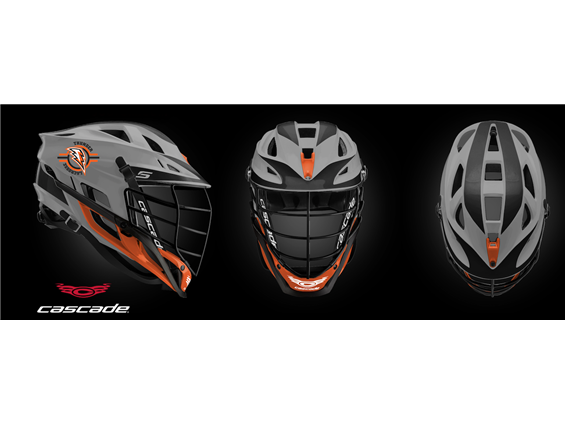 GEN4 EPP – Engineered to manage variable force impacts that are specific to the front of the helmet and facemask. NV3 – A high performance impact foam that provides maximum protection to the crown of the head. Shell and liner unite with this precisely molded foam that maintains shape and comfort under impact. Seven Technology – Compresses on impact to laterally displace energy, and withing seconds, it completely resets. Placed in key impact zones through the side adn rear to manage repeated impacts.